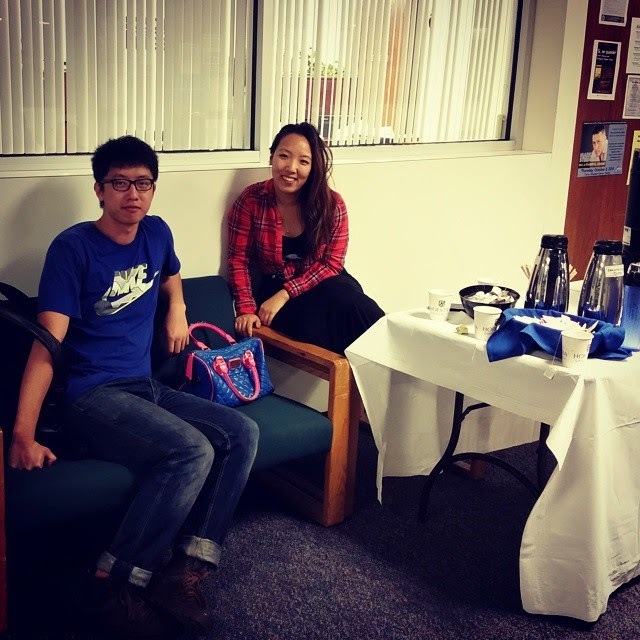 This past Wednesday, September 24, Multicultural andInternational Student Programs Office (MISPO) launched the first Sit & Chat event in Fall 2014 Semester. This program is a cross-cultural social hour to get all our Hofstra students (domestic and international) to come and share their cultures with each other. We had around 30 students at this event. As a MISPO graduate coordinator, I met the international students from India, China, and Jamaica. It was wonderful to share the differences of our cultural and educational experiences between other counties and the U.S./Hofstra. I truly appreciate all the students' courage, leaving their comfort zone, to meet new people at Hofstra University. 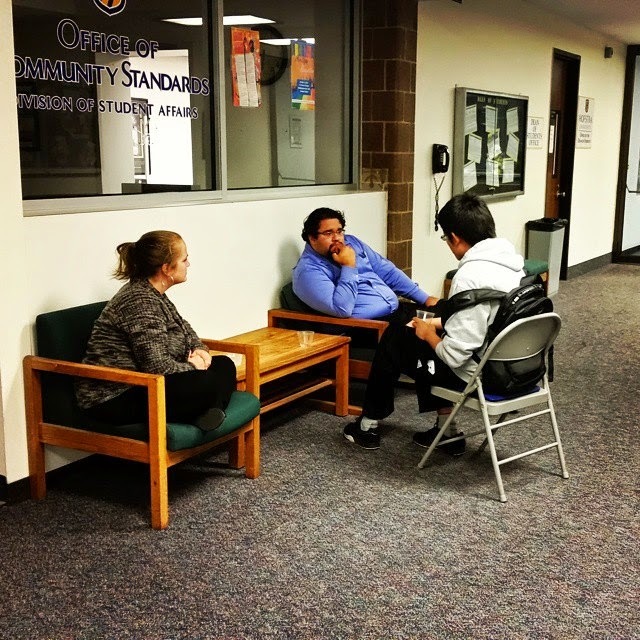 We will have two more “Sit & Chat” events throughout this semester on Wednesday, October 15 and Wednesday, November 12 in the Dean of Student Hallway by MISPO (242, Student Center). Please join us for these events and enjoy the coffee & snacks, meet new friends, and learn different cultures.